generally the man who says the most.
" A prudent man conceals knowledge : But the heart of fools proclaims foolishness." Knowledge is to be used wisely. Matthew 7.6 "Don’t waste what is holy on people who are unholy. Don’t throw your pearls to pigs! They will trample the pearls, then turn and attack you." I have not been afraid to speak out, as you, O Lord, well know. I have told everyone in the great assembly of your unfailing love and faithfulness. "I passed on to you what was most important and what had also been passed on to me. Christ died for our sins, just as the Scriptures said." Ecclesiastes 3.7 "A time to tear and a time to mend. A time to be quiet and a time to speak." for it is an evil time." 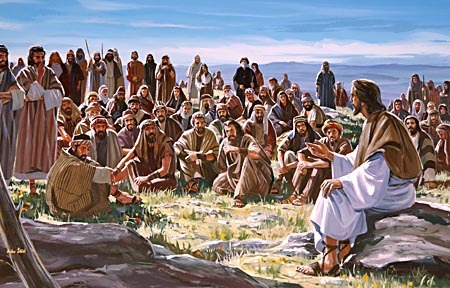 "Then he sternly warned the disciples not to tell anyone that he was the Messiah." "There is so much more I want to tell you, but you can’t bear it now." 12 This boasting will do no good, but I must go on. I will reluctantly tell about visions and revelations from the Lord. 2 I was caught up to the third heaven fourteen years ago. Whether I was in my body or out of my body, I don’t know—only God knows. 3 Yes, only God knows whether I was in my body or outside my body. But I do know 4 that I was caught up to paradise and heard things so astounding that they cannot be expressed in words, things no human is allowed to tell. 19 I am like a cask of wine without a vent, like a new wineskin ready to burst! "Some time later, God tested Abraham’s faith. 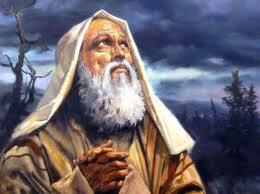 “Abraham!” God called. "Joseph recognized his brothers instantly, but he pretended to be a stranger and spoke harshly to them. “Where are you from?” he demanded. "Esther had not told anyone of her nationality and family background, because Mordecai had directed her not to do so." Nothing can justify speaking contrary to the truth. But we are not always obligated to tell the whole truth! 27 Sure enough, it wasn’t long before the king’s officials came to Jeremiah and asked him why the king had called for him. But Jeremiah followed the king’s instructions, and they left without finding out the truth. No one had overheard the conversation between Jeremiah and the king." In all these cases, "the wise man's heart will discern both time and judgment"
"Those who obey him will not be punished. Those who are wise will find a time and a way to do what is right,.."
Which is always done cherishing sound judgment, and an ardent love for truth. He irresponsibly opens his mouth.
" Some people may contradict our teaching, but these are the wholesome teachings of the Lord Jesus Christ. These teachings promote a godly life. "Anyone who teaches something different is arrogant and lacks understanding. Such a person has an unhealthy desire to quibble over the meaning of words. This stirs up arguments ending in jealousy, division, slander, and evil suspicions." The fool is dogmatic, the wise are more cautious. Have you shared this website with others yet?